Here’s the final post in my Great Desert Adventure with Rina. 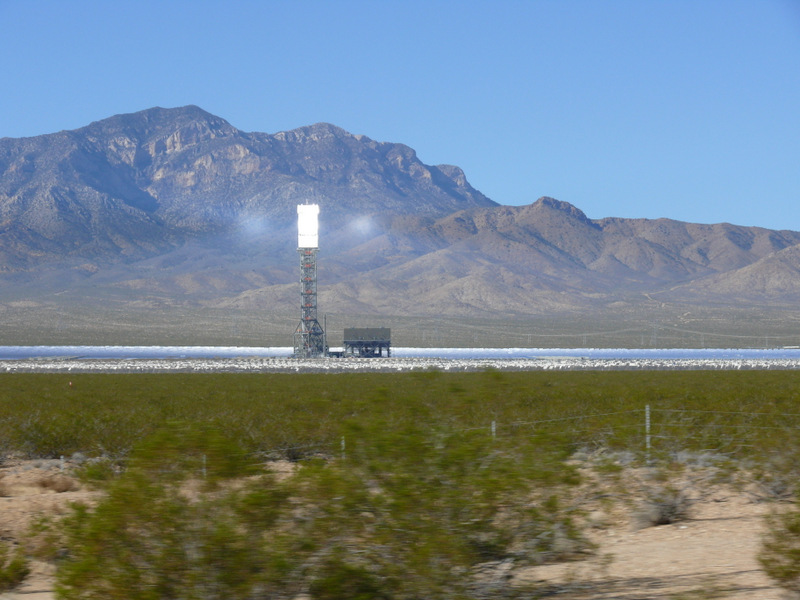 Let’s start with a shot of the Ivanpah solar plant, about 40 miles southwest of Las Vegas just north of I-15. Want better photos? Take a virtual tour. We’d planned to spend tomorrow with Spencer and Tammy Harris at their almond farm out from Bakersfield, so we stopped for the night at a cheap motel in Bakersfield and had dinner at a truly dreadful Mexican restaurant next door. 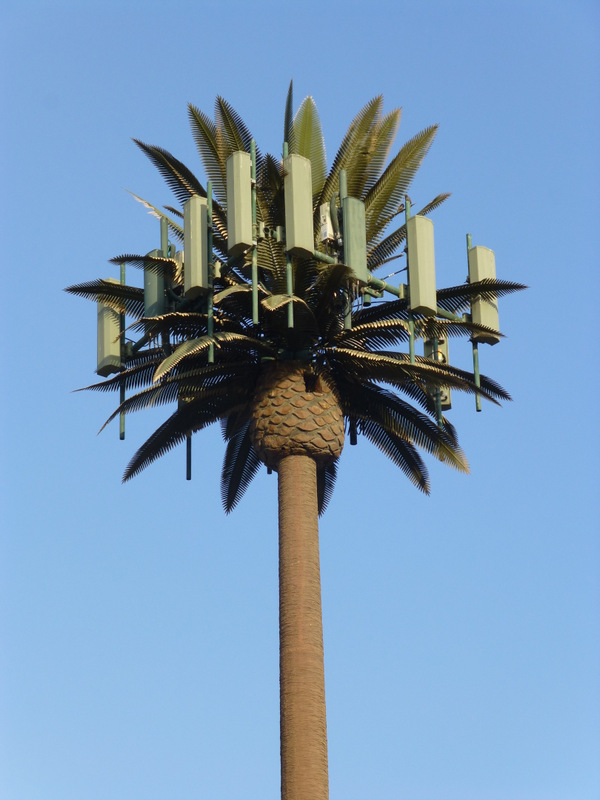 Actually, the high point of Bakersfield was spotting beside the motel a gorgeous specimen in full bloom of the rare Millennium plant, Radiolus grandiflora. And since we both had seriously overestimated our strength, instead of spending the day with Tammy and Spencer, we just stopped by to say hello to Tammy on our way back to San Francisco. 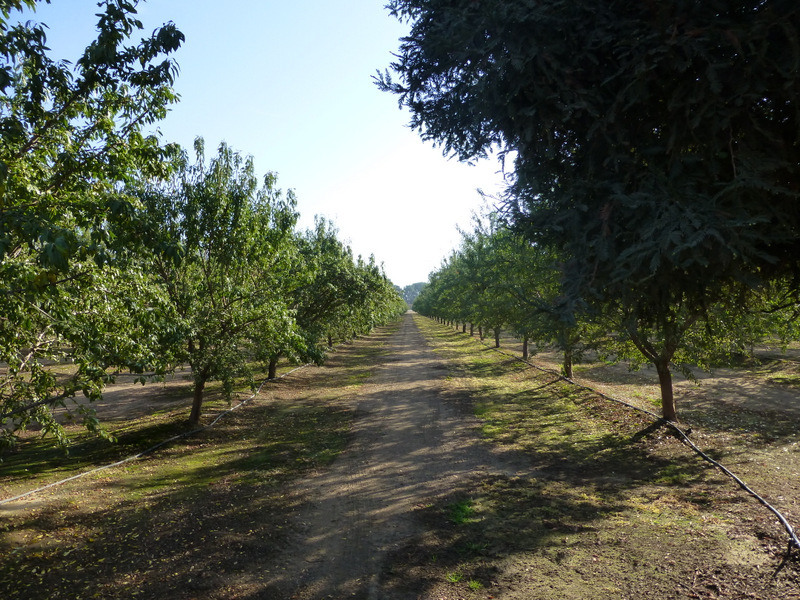 Here’s the almond farm. A great trip but exhausting. Actually, there was only one problem with Rina’s visit – both of us gained four kilograms during her stay. I report it in kilos because that doesn’t sound as bad as nine pounds. I mean, i starved myself for two years to lose eighteen pounds and gained half of it back in three weeks. Musta been all that pie and ice cream.